A prominent climate change denier and researcher quietly took more than $1.2 million in payouts from the energy industry, including the Koch brothers and other oil lobbyists, for the past 14 years, newly released documents have shown. 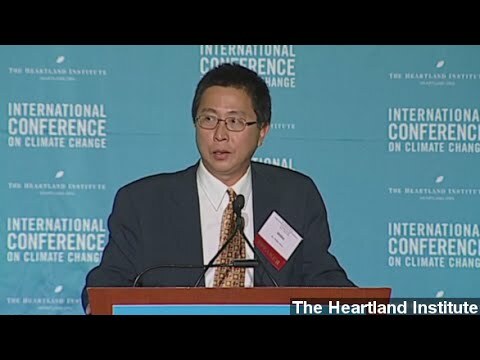 Wei-Hock “Willie” Soon, a researcher at the Harvard-Smithsonian Center for Astrophysics, accumulated a total of $1.25 million from ExxonMobil, the American Petroleum Institute, Southern Company, and a Koch brothers foundation, according to documents obtained by Greenpeace through Freedom of Information Act (FOIA) filings. For years, Soon’s work has been a go-to source for politicians angling to block climate change legislation, such as Sen. James Inhofe (R-OK), who has called climate change a hoax. Soon has also testified before the U.S. Congress and appeared on numerous conservative news shows to claim that greenhouse gases are not harmful and that recent global warming trends are not caused by human activity, but by variations in the sun’s energy. Soon’s acceptance of oil lobby money was previously known, although he has denied that it influences his work. However, the documents reveal the full extent of his ties to the industry, which was not public knowledge. His single biggest funder was Southern Company, an electricity provider which relies on coal-burning power plants and has lobbied heavily against climate legislation. Southern Company gave Soon a total of $409,000. He also received at least $230,000 from the Charles G. Koch Charitable Foundation. In addition, the documents confirm that Soon neglected to disclose his close ties to the fossil fuel industry in most of his academic papers on climate change. At least 11 papers published since 2008 do not state any connection to the companies who paid him, and at least eight of those papers may have violated the ethical guidelines of the journals in which they appeared. In correspondence with his funders, Soon called his research papers and Congressional testimony “deliverables,” which he completed in exchange for the money. “The question here is really: ‘What did API, ExxonMobil, Southern Company and Charles Koch see in Willie Soon? What did they get for $1m-plus,” said Kert Davies, a former Greenpeace researcher who filed the original freedom of information requests. Greenpeace and the Climate Investigations Center, of which Davies is the founder, shared the documents with news organizations. While energy companies have long funded the work of useful allies, the new documents shed light on the role of scientists like Soon who help fuel the debate over climate change and its causes. … Charles R. Alcock, director of the Harvard-Smithsonian Center, acknowledged on Friday that Dr. Soon had violated the disclosure standards of some journals. Davies told the Guardian, “The company was paying him to write peer-reviewed science and that relationship was not acknowledged in the peer-reviewed literature. The Center for Astrophysics does not require its scientists to disclose their funding sources. Both Harvard University and the Smithsonian have acknowledged that climate change is caused by human activity. Harvard remains invested in the fossil fuel industry, despite long-running calls for the university to pull its money from those companies.